Michel Retif, Turcat Andre, Henri Perrier and Jacques Guignard were the first Concorde team André Turcat, the first aviator to have scrambled Concorde March 2, 1969, died Monday night at age 94 at his home in the region of Aix-en-Provence (Bouches-du-Rhône), d According to people close to her family. 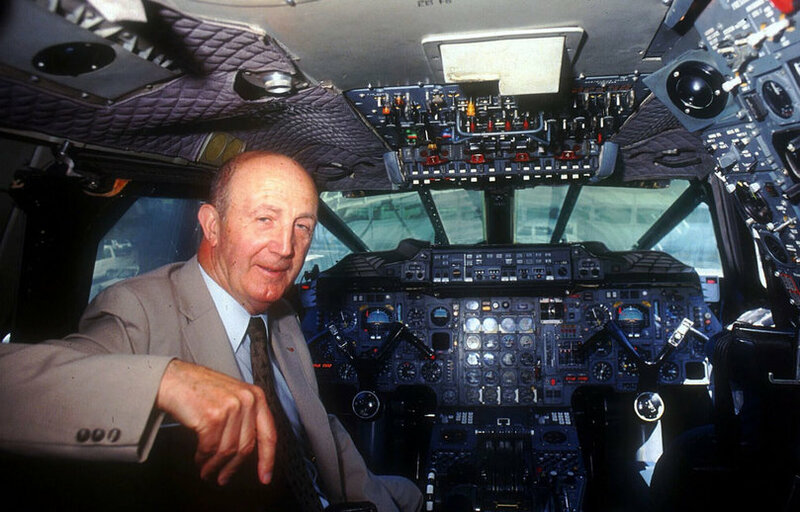 Pilot testing of the first flight of the prototype of the famous unit 001, André Turcat was also at the helm when the Concorde had crossed for the first time the sound barrier on 1 October 1969. Nicknamed “the Great Turk” by his colleagues, the pioneer of modern aircraft had made a specialty of break records, including becoming in 1954 onboard the experimental aircraft “Gerfaut I”, the first European pilot to cross the sound barrier in level flight. He also had the privilege of receiving the hand of Jacques Chirac the insignia of Grand Officer of the Legion of Honour June 27, 2005.